Mass-casualty terrorist attacks on high-profile targets, as well as one of Britain's biggest peace-time disasters, meant the emergency services and their comms operations were tested to an unprecedented degree in 2017. They passed with flying colours. The everyday heroism people attribute to the emergency services was superceded by a different type of bravery as fire, ambulance and police crews ran determinedly towards danger while helping others escape it. In March a terrorist drove into pedestrians on Westminster Bridge, injuring more than 50 and killing four, before crashing his car into the gates of Parliament; the driver then got out and stabbed PC Keith Palmer to death. The Metropolitan Police team assessed the flood of calls coming in and within seven minutes had put out its first communication, via Twitter, saying it was aware of the attack and officers were responding. Several comms operations within the Met were concurrently informing the public, asking people to show restraint about posting images of the attack on social media, and dealing with media enquiries from all over the world while senior police officers were prepped to go in front of the cameras and give updates. Meanwhile, internal comms gave officers and staff the opportunity to grieve for their murdered colleague. The other emergency services co-ordinated with and complemented the police comms operation. 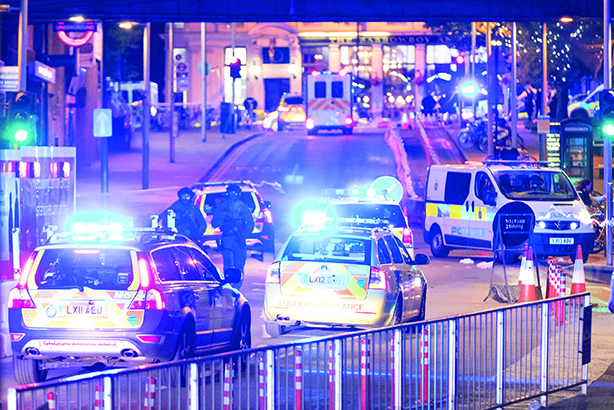 Fast-forward to May, when Greater Manchester Police led the comms operation in the wake of the Manchester Arena bombing, which left 23 dead and hundreds injured. Hardened comms professionals with decades of experience said they were stretched "almost to breaking point". Almost, perhaps – but they helped make sense of it for the public both at the time and in the months following. A month later came the London Bridge attack, the enduring image being that of ambulance crews and police officers running toward danger during the evacuation, while emergency comms informed and made people avoid the area. And within a fortnight came the Grenfell Tower tragedy, which shocked the country and left London Fire Brigade’s small comms team the task of responding to global media attention, as well as the ongoing job of explaining technical building-safety information to the public and preparing the service to take part in the inquiry.